I intend to blog about every book I read, but writing about reading is very different than thinking about what you’ve read. The woolly thoughts in my head often don’t translate easily to words that work on paper. But that is, after all, what writing is all about and it’s the practice that makes it happen. I recently spent the afternoon with a writer friend from Israel, Pnina Moed-Kass. Pnina goes to the gym at 6:30am every morning, returns home to eat a big breakfast, and then sits down to write until 3pm. Of course, that doesn’t happen every single day, but it’s Pnina’s goal and she has some great children’s and YA books to show for it. Even after a fit of self-disciplinary angst after seeing Pnina, I knew I would not write individual blog posts about the books I’ve been reading. I decided that in order to get back on track, I’d write in one omnibus post about a few of the books I’ve read recently. Here they are, with comments long and short. I’ve read and loved all of Fuller’s memoirs: Don’t Let’s Go To the Dogs Tonight, Cocktail Hour Under the Tree of Forgetfulness, and Scribbling the Cat. “Love” is an awkward word to use with Fuller’s books since they contain so much pain, but it’s her ability to depict emotional states that makes her books so engrossing. This latest memoir may just be her best. Fuller’s childhood in Africa, living in countries that shucked off the British colonial yoke, was full of violence, but her parents stayed and moved from one not-quite-safe place to another. Their commitment to living on the edge became the way that Alexandra saw her own life: always at risk, fueled with adrenaline, and supported by her father’s pragmatic and fatalistic attitude. Her marriage to an American and move to Wyoming took her to a different place, physically and mentally, and ultimately she couldn’t make it work. Fuller, in addition to her talents in describing messy emotional states, is a great nature writer, and with Africa and Wyoming she has two of the most dramatic places to write about, and she does it very well. Kanon’s thrillers are mostly set just after World War II, in that messy period of anarchy and revenge. This one is set a little later, 1948, and concerns Alex Meier, who is caught up in the Communist witch-hunts that were starting to upend people’s lives. He makes a deal with the CIA to work for them in East Germany; in exchange, he’ll return to his family with a clean slate. Alex thinks it will all be quite simple, after all, he’s not a trained spy, but almost immediately he’s caught up in a kidnapping and murder. East Berlin is still in post-War turmoil, with sspy agencies from several countries spying on each other. The double dealing makes Alex’s head spin and he works hard to find his footing. Filled with real characters, like Bertolt Brecht and Stefan Zweig, the twists and turns are fun to follow (or not!). I’ve read others by Kanon and always enjoy his atmospheric tales. I listened to this and hearing Warren read it herself was a treat. She tells a great story about her fight for better bankruptcy laws and her Senate race in Massachusetts. From a career teaching law, she’s drawn into legislative battles over bankruptcy and other issues, especially when she joins the Congressional TARP oversight committee. She ends with the story of her bruising but successful campaign for Massachusetts Senator. I don’t want to get into politics here, but will just say that she’s a compelling politician who speaks up for working families with an uncommon blend of common sense, intelligence, and charisma. Not sure about this one. I kept hoping that it would get better, clearer, more compelling. 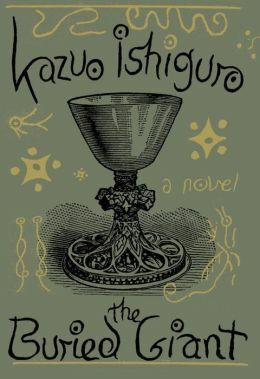 Ishiguro’s story, set in the post-Arthurian Britain, about an elderly couple–Axl and Beatrice–who go in search of their son, encountering treachery and danger along the way. A mysterious fog has settled over the country clouding the landscape and clouding memory as well. As Axl and Beatrice travel some of the fog lifts and the many of the memories are painful. There is food for thought about the role of memory in our lives, but for me there were ultimately too many labored passages. I never thought much about the kind of life that Chaucer lived, so this book was a revelation. A little dry, but very interesting. Chaucer married into a prominent family–his brother-in-law was the powerful and testy John of Gaunt–but he and his wife rarely lived together and he was estranged from his children. For a number of years, Chaucer had a position (gained through patronage) as the controller of customs at the Wool Wharf. The description of his dreadful accommodations, over one of the London gates, is sobering. 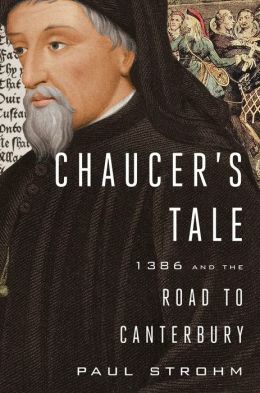 In 1386, the year that Strohm focuses on, Chaucer lost his patronage job and with it his housing. Without a job or a place to live he is forced to leave London and the intellectual and social milieu that nourished him, however, it did give him the space to write his masterpiece, Canterbury Tales. Strohm has an interesting section on the nature of audience in the 14th century that’s very much worth reading. I’ve read about Emma Goldman in passing and wanted to read more about this feisty anarchist, “Red Emma,” a woman reviled, jailed, and ultimately deported from the U.S. in 1919. 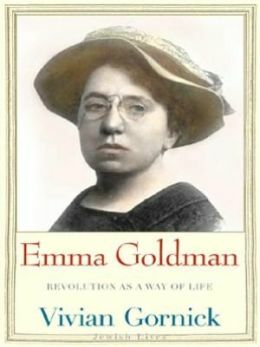 Vivian Gornick’s compact biography, Emma Goldman: Revolution as a Way of Life, is part of the terrific Yale Univ. Press’s Jewish Lives Series. Goldman was born in Lithuania in 1869 and came to Rochester, New York as a teenager to live with her older sister; the rest of the family joined her a year later. She was desperate to accomplish something, to change the world, and was galvanized by the Haymarket Affair, a workers’ protest in Chicago that was disrupted by an anarchist’s bomb. It was a defining moment in U.S. labor history and she wanted to be part of it. Goldman, too volatile and rebellious for her family, left home with her sewing machine and a few dollars, headed for New York City’s Lower East Side, where she found radicals of every stripe meeting in the cafes. The very first day, she met her soulmate, Alexander Berkman, the first in a series of lovers, mentors, and partners. She became a fiery, riveting speaker, traveling around the country talking about worker injustice. Gornick gives us the outline of the life Goldman led in service to the anarchist movement, but what’s so fascinating about this biography is the insight Gornick offers into Goldman’s motivations and personality. Unlike most biographers, Gornick is right there with the reader, commenting on Goldman’s behavior, adding asides, and digging, digging, digging into who Goldman was, why she acted as she did; all the messy contradictions of her life (and loves). The energy of Gornick’s writing is terrific; a great match for Goldman’s single-minded drive to change the world. 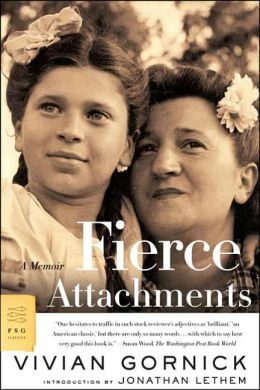 In conjunction with Goldman’s bio, I read Gornick’s own memoir Fierce Attachments, probably for the third time. Each time I read it, I’m hooked again, drawn into her childhood world and tangled relationship with her mother. It’s a feminist classic for good reasons, but also a startling evocation of the conflicted, haunting relationships we have with our childhood influences. A Spy Am ong Friends is a great book to listen to (the reader is John Lee); it’s the story of the famous “third man,” Cold War era spy Kim Philby, who, along with Donald Maclean and Guy Burgess (and several others), were Soviet spies in the British intelligence system, working in MI5, MI6, or the foreign service. Philby, who became a Communist at Cambridge, never wavered in his faith in Communism from the 1930s to his death in Moscow in 1988 after his defection. Philby served in high positions in MI6 and was for a while chief intelligence officer in the British Embassy in Washington, DC where he maintained a close friendship with James Angleton of the CIA. Although Maclean and Burgess defected in the 1951 and the British intelligence service knew there were additional double agents, Philby’s treachery wasn’t discovered until 1962. Philby had the right background, attended the right schools, had the right connections; everyone vouched for him automatically. 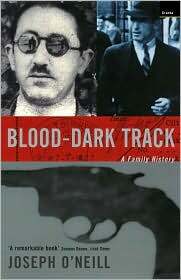 For decades he passed details of British intelligence operations to his Soviet contacts. A huge black mark for the British intelligence community. 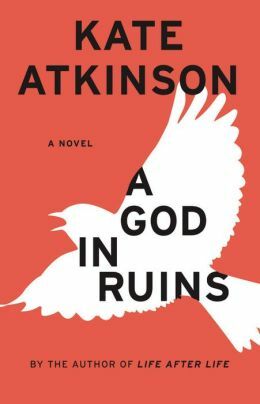 I was fortunate to get permission to download a copy of Kate Atkinson’s terrific forthcoming novel, A God in Ruins. I began reading it immediately, ready for a treat. This new novel focuses on Teddy, a minor character from her previous novel, Life After Life; Atkinson calls this one a “companion piece” rather than a sequel. I read it over the course of 3 days, and now I’m sorry I’m finished; I should have made it last longer. Teddy Todd is the younger brother of Ursula, the main character from Life After Life. The central event in Teddy’s life is his World War II service as an RAF bomber pilot. During the War, he was never sure if he’d return, if there would be an “after;,” his survival makes him determined to be kind and enjoy the life he’s been given after he’s been responsible for so much death. He marries his childhood sweetheart, Nancy; they have one child, Viola, and two grandchildren. Life isn’t always easy, but he takes it as it comes, reveling in the English countryside, doing his best to love the difficult people around him. This is the bare bones on which Atkinson hangs her absorbing story of how four generations deal with what life sent them. Atkinson plays with time, deconstructing the narrative in many ways: by mixing up time periods in each chapter, by casually dropping information about the future, by repeating events from a different character’s point of view, and by foreshadowing. One event calls up another, filling in details, adding roundness and resonance to characters and events. Teddy’s grandson, exploring in the attic finds Teddy’s war medals and keepsakes. These objects return in later chapters when we learn more about Teddy’s war experiences; because we’ve already thought about the objects when Sunny found them, their meaning is more emotional and faceted. Ursula makes tantalizing cameo appearances in this novel; she’s Teddy’s beloved sister, offering advice and support. For those of us who read Life After Life, when we hear about her death, we’re startled–didn’t she keep on living? Other characters, like Teddy’s cranky daughter Viola and her children Sunny and Bertie, step off the page, full of life and longing, shaped by the times they live in but very much their own people. The novel is filled with wonderful humor. Teddy’s daughter, Viola, pushes him from his house to “independent living” then to a “care home.” In his nineties, Teddy reflects that “living in captivity” has “clearly prolonged his life.” The chapter describing Viola’s visit to Teddy in the care home is hilarious and sad, a perceptive set piece on how we treat the elderly. The sections set during the war, especially Teddy’s experiences as a pilot and wing commander are painfully vivid, capturing Teddy’s inchoate fears, his relationship with his crew, and the emotions he feels as he sees the destruction they’ve brought down on German cities. These sections fill out Teddy’s character in a most rewarding way. Atkinson has complete control over her narrative and characters; it’s such a pleasure to surrender to her stories. I’ve read all of Atkinson’s novels, starting with Behind the Scenes at the Museum; sorry I can’t read them again for the first time. I’m late reading this; started listening to it years ago and never got very far. I find that the unrelenting grimness of Oates’s novels often puts me off; I have to be in the mood. I’m about 75% through We Were the Mulvaneys and starting to worry about how it will all end–not well, I’m sure for the Mulvaneys, who have already lost so much. I’ll read to the end, but I’m hoping that there will be redemption for at least some of the characters. Oates has such command of her material; she’s knows exactly where she’s taking us. 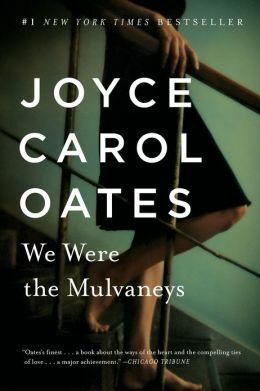 She sets the scene beautifully at the beginning of this novel–we understand exactly the status and the role of the Mulvaneys–and their charismatic appeal– in their small town in upstate New York, classic Oates territory. As the story progresses, the personalities and proclivities of the characters propel the story. Corinne and Michael Mulvaney are living a happy life at High Point Farm with four children and assorted dogs, cats, and farm animals. The eldest son, Mike Jr, known as “Mule” Mulvaney from his days as a football star at the local high school, now works with Dad at Mulvaney Roofing. Second son Patrick, “Pinch,” is the straight-A student; he’s serious and aloof. Beautiful, popular, innocent cheerleader daughter Marianne–Button–joins her mother at church, while Judd, the baby of the family, tells the story of what happened that year when life changed for the storybook Mulvaneys. The problems begin when Marianne goes to the Valentine’s Day Prom with a nice local boy, but comes home the following morning bruised and with a bloody dress. The unthinkable has happened and the Mulvaneys are unprepared. Mike, Sr. sees Marianne as a symbol of his inability to keep his family safe and he can’t look at her, reminded as he is by his own failings. Marianne feels culpable and debased. Other family members react in their own ways and the fortunes of the Mulvaneys spiral down, their lives out of control and they’re unable to help each other. Oates tells the story of the following twenty-five years in the lives of the Mulvaney parents and children as they search for grace and forgiveness. If you like We Were the Mulvaneys, try Oates’s Little Bird of Heaven, one of my favorites of her novels. 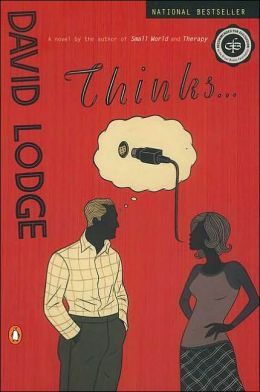 Thought about thought about the world–and the chemistry between men and women–are the themes of this 2001 novel, in Lodge’s inimitable, sly style. His novels are serious and funny at the same time–a unique combination–and often poke fun at academics. I’ve read and enjoyed several: Small World, Nice Work, Paradise News, and grabbed a paperback copy of Thinks at a used book sale. Ralph Messenger, Director of the Center for Cognitive Science at the University of Gloucester, spends his days thinking about the nature of consciousness and his chances of adultery with the women on campus. Enter Helen Reed, recently widowed novelist and visiting professor in the Creative Writing program. Helen’s intrigued by Ralph’s field of study; Ralph enjoys their interesting conversations and hopes to get Helen in bed. Helen is interested but worries about the morality of sleeping with Ralph after his wife befriends her. As the book progresses, there are conversations about what consciousness is–for Ralph and his colleagues it’s a problem to be solved, which amuses Helen, who sees consciousness from the writer’s point of view, as the “stuff” of the novel. Helen’s conversations with Ralph spill over into her teaching and she gives her students an assignment to write an essay “What it’s Like to Be a Bat” in the style of a well-known modern author. The results are pretty hilarious. Helen also wonders what’s happened to the consciousness of her deceased husband, Martin. Ralph is conducting an experiment whereby he tape records his thoughts and Helen keeps a diary, so the reader gets to experience the same events from very different points of view. The reader knows what they’re both thinking, but their individual thoughts, their “consciousnesses” if you will, are opaque to each other, which provides the engine for the plot . There’s lots of information about theories of consciousness; characters have great discussions about how we know what we know, but with Lodge’s usual light touch, he inserts this in the most entertaining way. I enjoyed O’Neill’s last 2 novels, The Dog and Netherland very much. In the latter, the protagonist is British, living in New York, but brought up in Holland. I was curious about how O’Neill came to give his protagonist a Dutch background. When I learned that he had been raised in Holland, I suspected that this memoir about his family would be of more than usual interest. I was right. O’Neill’s memoir tells 2 stories: his mother’s family was Turkish; his father’s family was Irish and for most of the book the chapters alternate about the two branches. Growing up he spent summers in the small city of Mersin, Turkey, with his mother’s family but hardly any time at all in Ireland until undertaking the research for this book. Both of O’Neill’s grandfathers, in a strange turn of fate, were imprisoned by the British. His Turkish grandfather, Joseph Dakad, was imprisoned during a trip to Jerusalem during World War II on suspicion of being an Axis spy. His Irish grandfather, Jim O’Neill, an active member of the IRA, was interned by the de Valera government at roughly the same time. The curious coincidence of these events sparked O’Neill’s exploration into his family’s past. It’s hard to imagine 2 more different lives. Joseph Dakad, a Turkish Christian, was a sophisticated hotelier in the port city of Mersin. O’Neill recreates the exotic ambience of the 1920s and 1930s and the tensions among the various minorities: Muslim, Christian, and Armenian. As his research brings him deeper into that time, he toys with the possibility that his grandfather’s trip to Jerusalem for lemons was not so innocent. That “lit surface of history” is a wonderful image of what memoir does, but even more, it’s what good historical writing, like this, is all about. This would be a good choice for readers who enjoyed The Hare with Amber Eyes: A Hidden Inheritance by Edmund de Waal, She Left Me the Gun: My Mother’s Life Before Me by Emma Brockes, or Out of Egypt: A Memoir by Andre Aciman.